Thanksgiving is around the corner, which means we need to prepare for a weekend of bountiful meals and table spreads of traditional holiday favourites. While this holiday typically entails good food with even better company, it is one of the toughest times of the year to keep your health habits in check. 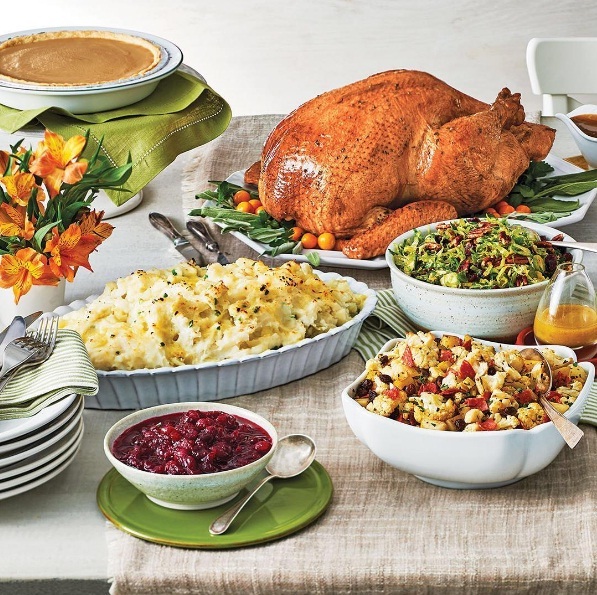 According to expert dieticians, people tend to consume about 3,000-5,000 calories during Thanksgiving feasts. Although bathing suit season has wrapped up, sweater weather is no excuse to stray away from a healthy diet. An evening of total indulgence could be enjoyed guilt-free by following Real Style’s tips to staying healthy this Thanksgiving. Although you might think skipping breakfast is a clever way to save your appetite for the big meal, that is hardly true. Start your day with a satisfying portion of cereal or avocado toast, because depriving yourself before a heavy meal could lead to binging later on. If you arrive to the gathering extremely hungry, you are likely to land yourself in a food coma after devouring four servings of the mashed potatoes. Breakfast actually gives you more control over your appetite and helps your body with digestion throughout the day. You will definitely regret starving yourself until dinner, as you’ll be tempted to eat faster and pile your plate higher than what you can stomach. In the spirit of giving thanks, do your body a favour and start off with a nutritious and balanced breakfast in the morning. Although the Thanksgiving table is typically crammed with an endless supply of delicious foods, there is no reason to gain a few pounds from one family sitting. Instead of splurging, chew slowly, savour each mouthful and give your body some time to digest before helping yourself to seconds. You shouldn’t have to restrict yourself during the holidays, but you will feel a lot more content if you enjoy everything in moderation. Select reasonable sized portions before stuffing yourself to the brim, sampling each appetizer and gulping down the cranberry sauce garnish. The holidays are the ideal cheat day, so there is nothing wrong with leaving some room for dessert. Don’t overdo it because the best part about Thanksgiving is that there will certainly be enough leftovers to last a week. Thanksgiving only comes once a year, so it should be enjoyed with our loved ones, without sacrificing any flavour or fun. Since Thanksgiving occurs during the peak of the fall season, the crisp air and multicoloured trees are the perfect reason to extend your family bonding time beyond the dining room table. Whether you prefer a neighbourhood stroll or casual bike ride, getting outside after the hearty feast could help you digest all that turkey stuffing and keep your waistline intact. While the beautiful displays of delectable dishes are often the highlight of holiday gatherings, perhaps you can suggest a friendly game of football in your back lawn, or spend some one-on-one time catching up with your favourite cousin outdoors. Rather than falling into a weary mindset after dinner, do something active, as it will boost your energy levels, burn off some calories and keep you from feeling bloated.